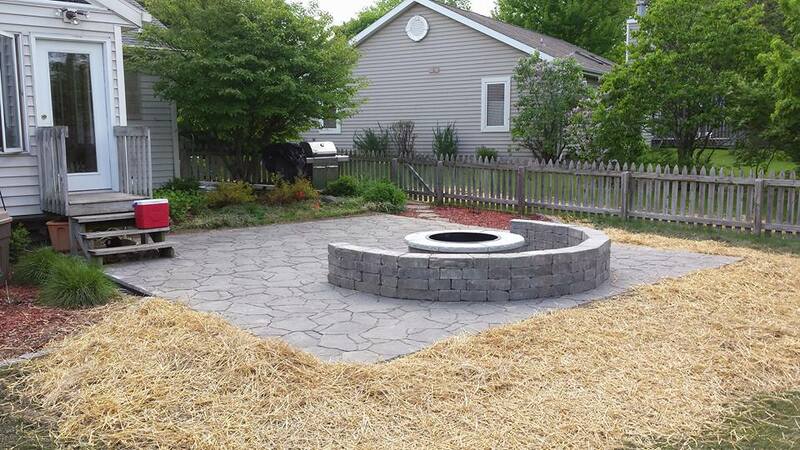 Extend your living space with a patio made of concrete, brick, natural stones, or beautiful pavers. Our patios reflect a direct extension of your home and are designed to blend beautifully into your overall landscape. You can use patios to connect parts of your home and create an outdoor living space perfect for social gatherings or just for relaxing on a nice summer afternoon. Brick and Stone paver patios – when designing a patio, the benefits of stone pavers are numerous. The best thing about stone pavers is that their versatility – they can be cut to shape and colored any way you want. Stone pavers are also very low maintenance and can be easily swept clean. In addition, repairs for stone paver patios are simple – if one or two stones crack or break, they can be easily replaced without having to replace whole sections of the patio. Flagstone patios – seeking a more natural look for your patio? Consider a custom flagstone patio. Flagstone is a natural stone that cannot be cut to shape and patterned the way pavers can instead, it is laid out like a mosaic, meaning no two flagstone patios look the same.